If you are lucky enough to land yourself a coveted 99designs voucher or discount code, do not forget to activate the promo code in the "Apply Voucher" section upon checkout. Keep a look out for more promo codes on their social media handles, especially during festive seasons. In addition, you may also receive special 99designs coupon codes and 99designs discount codes as part of 99designs promo offers. These offers can help you start a design project at a discounted rate while also giving several more designers access to added projects. Remember to check the validity of your 99designs discount code to reap the benefits timely. Still thinking about it? How about checking out our other stores such as AliExpress and HP? Deals and promos Up to RM30 cashback Great deals and promos on 99 designs T&Cs apply. 99designs is the world’s leading design contest marketplace, powered by a massive community of designers and business owners. Small businesses and startups everywhere use this service to get graphic designs for logos, business cards, t-shirts, websites, and more. Designers from all over the globe compete with their peers in design contests to win prizes, improve their skills, and establish relationships with new clients. ● Design contests are ideal for clients who don’t already have a freelance or in-house designer. Contests allow clients to see work from, and work with, many different designers at once. 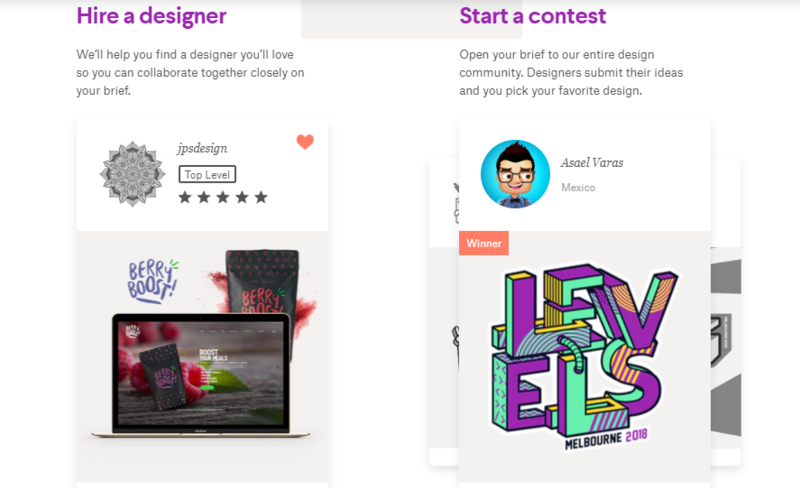 ● Design contests let clients see finished designs custom-made for their company, rather than committing to work with a designer based on their past work for other companies. ● Design contests are quick. The average contest lasts for one week, at the end of which time the client walks away with a finished design that’s ready to use. The designers have great new designs to add to their folios—and, if they’ve done well, some prize money too. ● Design contests are very cost-effective. The client chooses the contest prize they want to pay and know that designers will create designs for that price — there’s no going over budget here! ● If clients aren’t satisfied with the designs submitted to their contests, 99designs offers a 100% money-back guarantee. Their journey began when the group of designers were competing together on the SitePoint forum to create the best designs. In 2008, that friendly competition grew into a unique design marketplace and 99designs was born. Today, a new design is uploaded to the platform every second—earning the global community of artists more than $200M to date. 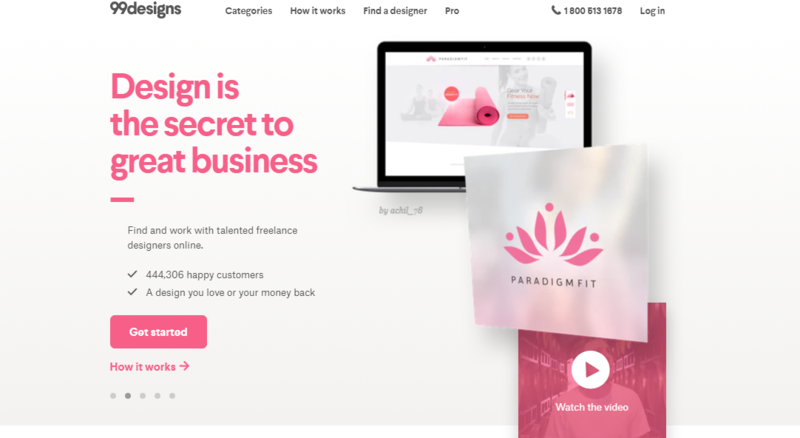 With 99designs, any designer, from Sydney to Serbia, can succeed without requiring an office presence. The team of professional designers can create 99designs logo store solutions, branding, websites, packaging and a lot more. Here we take a look at all of their categories. The brand makes great design work happen with their global community of professional designers. To get started, simply follow the steps detailed below. Step 1: On the homepage, browse the category and then select the subcategory to locate your product to be designed. You can also use the search bar to find a specific product. 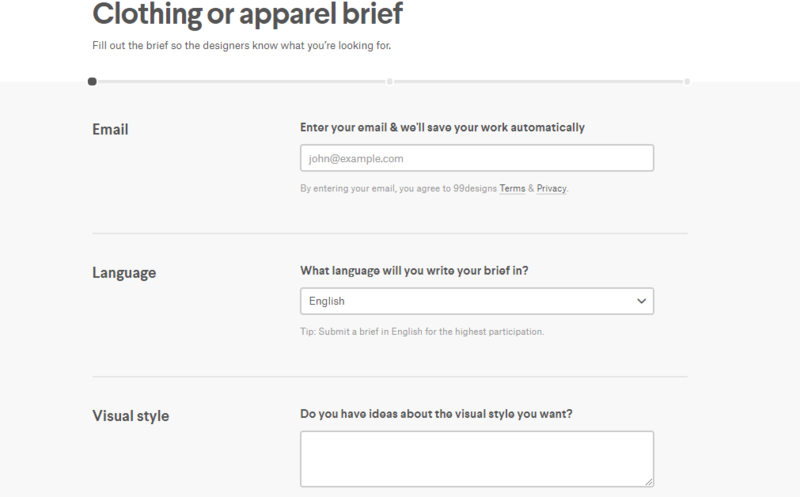 Step 2: Start by creating a simple brief to help designers understand your design needs. This brief only takes a few minutes and can capture your style and specs from super simple to crazy complex projects. The turnaround is quick for simple tasks while big projects may require longer timelines. Every design category has flexible pricing for all budgets. Logo design starts at US$299. In some cases, 99designs deals with a 99designs discount coupon or 99designs promo code can also help save on your project. Step 3: Work with the best designers by choosing from two methods. Design experts in over 90 skill sets: This method is recommended for people with a clear idea of the style and art direction of their project. Review portfolios and request quotes: Designer charges varies depending on your design needs. You can request quotes from multiple designers and negotiate on the price of your project. All designers vetted for quality: 99designs has a dedicated quality team that ranks designers from Entry, Mid and Top Level. This is ideal for people who want to explore different ideas, styles and concepts. 99designs highly recommends this for Logo design among other designs. It all starts with what design you need. In addition, the company has design packages for every budget. Although, the larger the prize, the more designer entries you'll have. Choose a design you love and work closely with the winning designer to refine and finalize your design. After that they’ll supply the files needed for print or digital use. You will also have full copyright authority of the final design. Once you’re happy with your design, you can begin discussing your next project together. If you need files for digital use then you need JPG, GIF or PNG files in RGB colour mode. If you’re getting designs printed then you’ll need PDF, Illustrator, Photoshop or InDesign files in CMYK colour mode. All your design files are conveniently and securely stored in your 99designs work area available for download anytime. You can continue working with your chosen designer on all your future design needs, or you can search for new epic designers. The currency you’ll be charged will depend on which local 99designs site you use to make the payment. ● Contests that have entered the Final round, since once you enter the Final round, your contest automatically becomes guaranteed. Step 1: Visit the ShopBack website and click on the 99designs store at the bottom of the homepage. You can also use the search box to find the link to the store. Step 3: Look for the latest 99designs promo code or 99designs discount code in the 99designs coupon codes, voucher codes, discount codes and promo codes section. Step 4: You will be redirected to the 99designs website to browse and select the items. In case you are not happy with the designs, the 99designs team will be happy to help you re-write your brief, re-open your project to ensure you get a good result, and help you pick a winning design. 99designs can cancel and then delete a 1-to-1 invoice if it is pending and no work has been completed. Just contact the customer support team and they will resolve it. In case the transaction is completed: 99designs cannot refund the transaction if the 1-1 project is in progress or completed because work has been done by the designer. If you need a refund within an ongoing 1-1 project or completed 1-1 project - first, you must receive a confirmation from your designer that the refund is approved by them. This also must be in writing on the 1-1 project. Once this part is completed, simply contact support and they will process the refund for you. 99designs offers a 100% money-back guarantee in case you’re not satisfied with the designs your contest receives. To ask for a refund, simply connect with the customer care team during business hours. They will need to verify your information in person, so a team representative may need to speak with you to process your refund. ●	99designs can’t refund a contest once you’ve chosen finalists and entered the final round. ●	You need to request your refund within 60 days of payment. ●	99designs can’t refund guaranteed contests. If your contest is guaranteed, please contact the team, and one of the design consultants will give you a call to personally help you make your contest a success. For any assistance regarding your design project, contest or refund queries, you can simply contact the customer care team and they will resolve any concerns. Live Chat Support: You can contact the Chat Support teams by clicking the chat "help" bubble in the lower left corner of nearly any page on the 99designs website. Phone Support: To speak with a design expert or customer representative in person, you can call on 1800 513 1678. In addition, you can also follow the brand on social media for latest design ideas, project news and other offers. In addition, you can also find out about latest deals and promotions via these channels.